Have you been searching for a natural product that will safely remove makeup of all types, including waterproof mascara, while leaving your skin beautiful, clean, and supple, without drying or traumatizing your delicate face? On the go? Quickly remove dirt, sweat and makeup from your face leaving you feeling refreshed while at the same time easy to use, compact and light to carry. 1. Specifically designed to remove makeup of all types (even heavy and stubborn kinds): mascara (including waterproof kinds), foundation, eyeliner, lipstick, concealer, etc. Also removes dirt, dead skin, and oil, deep within your facial pores. 2. Rejuvenates: gently exfoliates your skin; brushing your skin younger. 3. Simple: you no longer have to mess with cotton balls, pads, or q-tips for your makeup removal needs. 4. 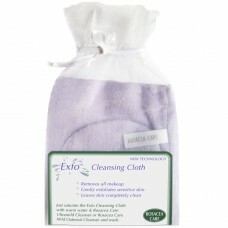 Chemical free: deeply cleans your face without harsh or abrasive chemicals. 5. Hygienic: you don't have to worry about harmful bacteria growth. 6. Saves money: a very cost-effective solution for total makeup removal. 7. Fast: just add warm water and Rosacea Care Ultramild Cleanser or Mild Oatmeal Cleanser and wipe your eyes and face clean. 8. Long lasting: even with daily usage it will last up to 6 months. 9. Safe: absolutely chemical-free and hypo-allergenic. 10. Soft and gentle: especially recommended for sensitive skin. 11. Easy to clean: just wash it with soap and water, then rinse. 12. No animal testing: 100% cruelty-free. New generation of specially knitted microfibers. 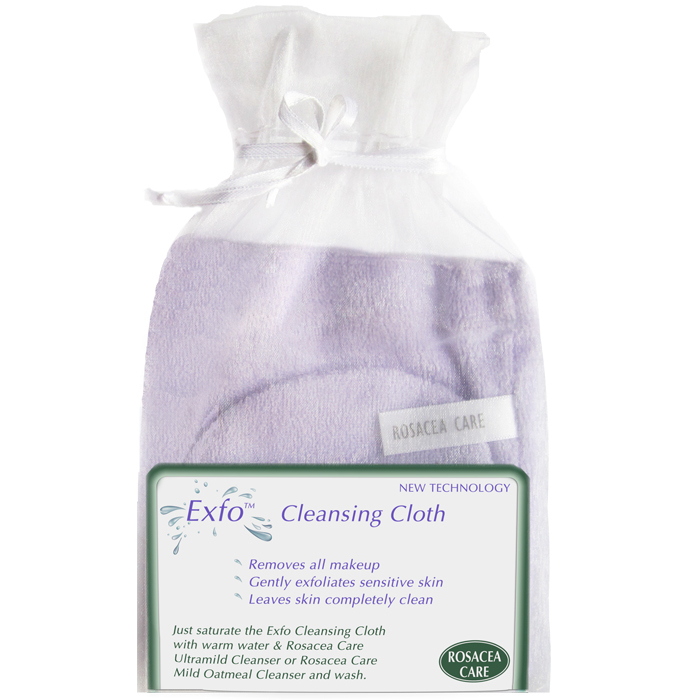 Just saturate Exfo Cleansing Cloth with warm water add a small amount of Rosacea Care Ultramild Cleanser or Mild Oatmeal Cleanser and wash your face.